Meet your hosts and programme co-ordinator at the airport. 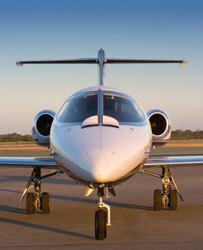 Private jet to Nice and helicopter to the luxurious Monte-Carlo Bay & Resort. Lunch at the hotel. Visit the race track and watch some of the practice circuits. Afternoon activities include spa treatments at the Thermes Marins de Monte-Carlo, golf and tennis. Champagne reception followed by dinner in the "Le Grill", at the Hôtel de Paris (1* Michelin). Continue on to the Casino de Monte-Carlo or Jimmy’z nightclub. 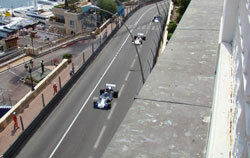 Access pass to the ‘Terrasse Belle Epoque’ at Hotel Hermitage, which is directly above the racetrack and offers one of the best vantage points. The Grand Prix Historique was started in 1997. It features numerous races for different classes of vintage Formula 1 and classic sport cars that pre-date 1947, 1953, 1961, 1966 and 1979. All the cars are in fabulous condition and still perform to race, attracting champion racers – Stirling Moss was still racing here in 2008. The famous Formula 1 Grand Prix circuit is used. The weekend is immensely enjoyable and fun with a wonderful atmosphere attracting classic cars and their owners from all over the world. Champagne and lunch will be served on the terrace whilst watching the races. In the evening attend the glamorous race ball and mingle with the race teams or private dinner in Alain Ducasse’s Louis XV restaurant. The following day return by helicopter to Nice and private jet to London.